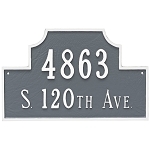 This beautiful plaque is hand-crafted in the USA from rust-free, recycled aluminum. 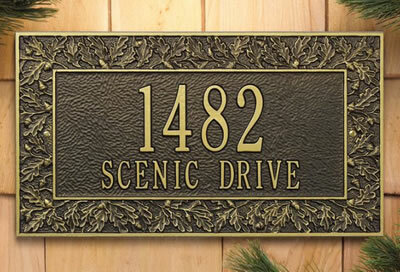 The decorative accent has a hand-painted rub that matches the lettering color. This treatment provides a beautiful, subtle and custom look. All mounting hardware is provided. 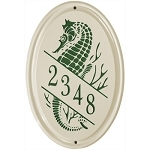 Designed for mounting on the wall only (lawn style is not available).